Let’s not kid ourselves one of the main reasons we crave a journey to Thailand is to experience the multiple exotic beaches. 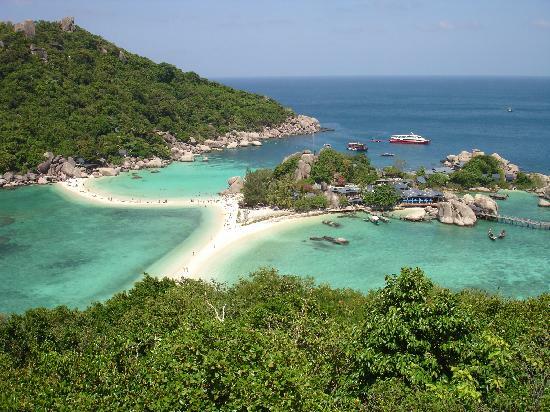 Made famous but many movies, especially by the unforgettable scene when Leonardo DiCaprio from “The Beach” stumbles upon a private paradise, the beaches of Thailand is a perfect escape. Check out some of the top ones to check out on your days off or before or after the training. This unique and famous beach is one of natures wonders. The beach connects 3 different islands. The downside of this slice of heaven is due to its fame making it one of the busiest beaches in Thailand. However, if you can overcome the crowds (maybe go early) then it truly is a unique beach to visit. How to get there: The only way to get there is by boat. This one of the nicer beaches in Phuket as it is less crowded compared to others in the area. There are plenty of restaurants to sit at and enjoy the view. The water is so clear and the area is very peaceful. How to get there: From Bangkok you can arrive by bus, train, car or airplane to get to Phuket. The beach is located 5 minutes north of busy Patong by car. Although you can access this remote beach via boat, why not take the adventurous route and take the 2 km hike on the mountain path? When you arrive on foot you will be rewarded with a spectacular view of an expansive white sand beach. How to get there: By boat from Chaloklum or Thong Nai Pan. By foot leave from Had Khom. White sand, turquoise water, caves and a huge rock formation, this beach has it all. The cave has some interesting history with local fisherman. Phra Nang means princess and the beach lives up to the royal name! How to get there: 15 minute walk from Railay beach in Krabi Province. From Bangkok you can take a flight, train to Surat Thani then bus or drive to Krabi Province. The beach is known for its sunsets and peaceful quiet atmosphere. There are plenty of restaurants to indulge in while taking in the breathtaking view of the changing colors of the sky. How to get there: Boat to Koh Phangan, then take scooter or taxi to the beach.